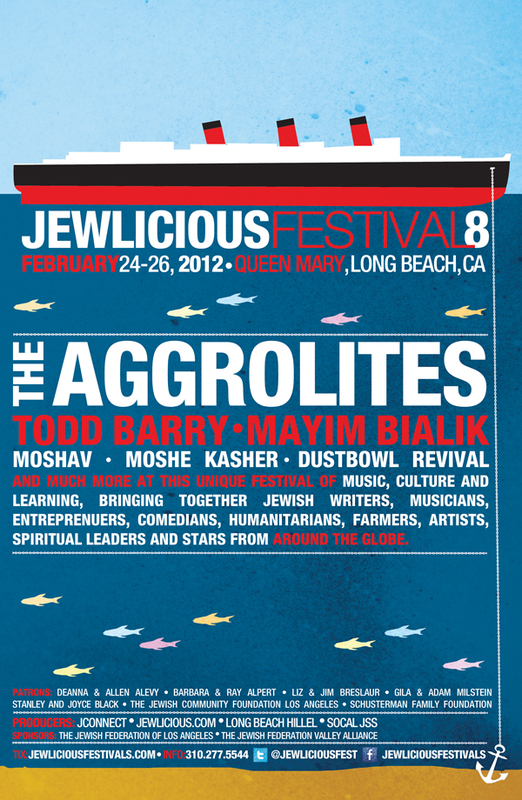 We are pleased to announce our headliners for our 8th Annual Jewlicious Festival. The phenomenal actress and brain scientist Mayim Bialik (Blossom, Curb Your Enthusiasm, Big Bang Theory), the most upbeat band in LA, The Aggrolites (Coachella, Vans Warped Tour, SXSW) and two of America’s Funniest men, Todd Barry (The Wrestler, Louie, Flight of the Conchords, Letterman, Conan) and Moshe Kasher (2009 iTunes comic of the year, Jimmy Fallon, Chelsea Lately). Amazing musicians Moshav and Dustdowl Revival will be playing sets as well! Advance Ticket sale extended by one week until February 3rd! This amazing weekend of music, food and culture is not to be missed. Limited Sponsorships available for residents of San Diego County, The Valley, Soref Campuses, Long Beach.